Savvy chemical brands and trends to follow | Fleming. According to the latest Roland Berger study, "Chemicals 2035 – Gearing up for growth: How Europe's chemical industry can gain traction in a digitized world", the market for chemical products is expected to grow to some €5.6 trillion by 2035, more than doubling its current size. Despite Asia's strong growth, Europe is holding on. The chemical sector generates 17.0% of the world’s chemicals, employs 1.2 million workers and contributes €551 billion to the EU economy. Among the Top 10 chemical companies worldwide for 2015, based on the Financial Times Global 500 list, we can find five European companies. Germany is the leading exporter of chemicals and pharmaceuticals in the world and therefore the country where our two main chemical conferences are taking place in 2016: 4th Annual Sales & Marketing Effectiveness in Chemicals Forum & Chemical Distribution Excellence Forum. What are the 5 top industry trends that are helping companies stay relevant and continue to grow? 1. Chemical clusters – Through strategic alliances with authorities, universities and other businesses, a company’s innovative potential rises and its R&D becomes more diverse. Clusters play an important role in improving supply chain competitiveness. Companies also turn into idea hubs or incubators, benchmark with competitors and attract employees better. Plus, the profile of the region where the cluster exists rises. For example, the ECSPP platform was established in 2005 to promote and represent European chemical parks and sites, and as of this day it keeps track of 59 chemical parks in Europe. 2. Digital marketing – We have moved from the “age of feedstock” to the “age of application”. Meeting customers halfway, using social media, SEO, big data analysis or cloud computing works in favour of companies. They also use it for building the company image and sharing it with the public. For example, not many people know that Dow Chemicals supports Habitat for Humanity. At the end of March 2016, they announced the renewal of this partnership for the 34th consecutive year. 3. CRM – Customer Relationship Management in chemicals is perfect for synchronising all channels and for managing and growing the customer base. Big companies such as Deloitte, Oracle or IBM offer solutions for chemical companies, helping them to create value chain management. 4. Identifying growth opportunities in emerging markets – Global megatrends such as biotechnology, sustainability, new technologies, health awareness or oil prices also affect growth. Africa, India and China have emerged and are no longer terra incognita. 5. Talent management – Retirement wave, competition, problems with attracting Millennials, as well as globalisation and outsourcing make talent management a daunting challenge. Scholarships, internships, attending job fairs and interactive online communication are helping to attract talent. For example, in Germany, third line financing of Universities promote top-level research and fund young scientists. 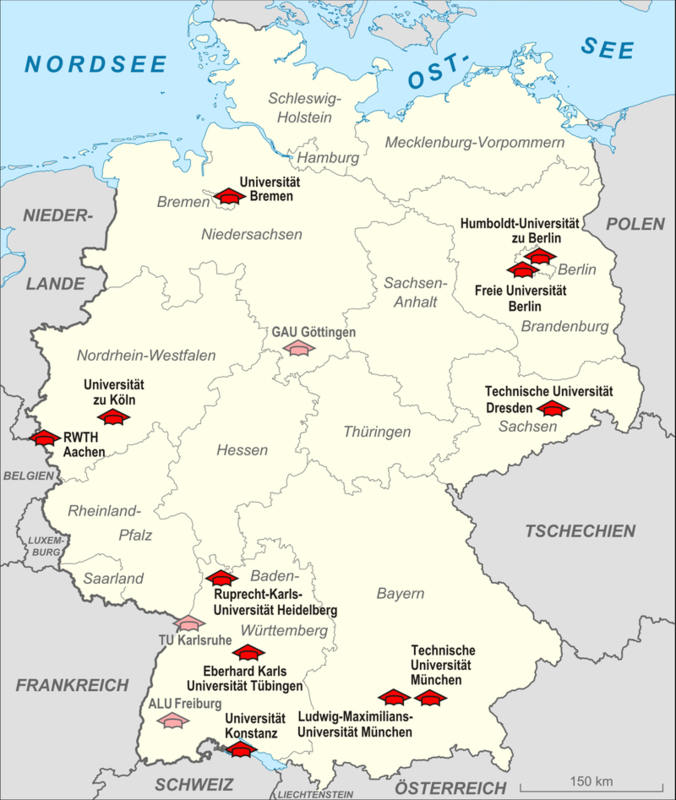 The 11 universities chosen in 2012 can be seen on the map below.